Maureen Strichman, ANP, has joined St. Peter’s Hospital Spine and Neurosurgery, a practice of St. Peter’s Health Partner’s Medical Associates. 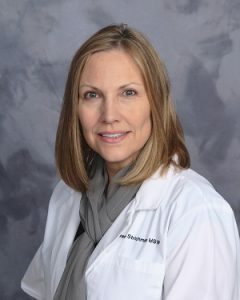 A board-certified nurse practitioner, her professional interests include caring for patients with spine-related pain. Prior to joining St. Peter’s Spine and Neurosurgery, Strichman practiced as a nurse practitioner at the Albany and Saratoga Centers for Pain Management. Before that, she was practicing at what is now known as OrthoNY. Strichman received her master’s degree in nursing from The Sage Graduate School in Troy, New York. She also completed a post-master’s certificate from The Sage Graduate School. She earned a bachelor’s degree in nursing from Russell Sage College in Troy, and a bachelor’s degree in psychology from the State University of New York College at Brockport. St. Peter’s Hospital Spine and Neurosurgery is accepting new patients at 1182 Troy Schenectady Road in Latham. To schedule an appointment, or for more information, please call 518-713-5400.